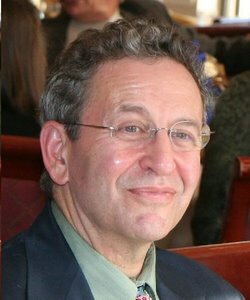 Michael Greenberg is distinguished professor of the Edward J. Bloustein School of Planning and Public Policy, Rutgers University. He studies environmental health and risk analysis. Greenberg M. Apostolakis G, Fields T, Goldstein B, Kosson D, Matthews RB, Krahn S, Rispoli J, Stewart J, Stewart R. (2018) Advancing Risk-Informed Decision-Making in Managing Defense Nuclear Waste in the United States: Opportunities and Challenges for Risk Analysis. Risk Analysis. First look, July. Greenberg M. (2018) Siting Noxious Facilities: Integrating Location Economics and Risk Analysis to Protect Environmental Health and Investments, NY, Earthscan/Routledge, especially chapters 5-7. MacDowell L. ed. (2017). Nuclear Portraits, Greenberg M, Mayer H, Powers C, Kosson D. Nuclear Waste Management and Nuclear Power: A Tale of Two Essential United States Department of Energy Sites in Idaho and New Mexico, in Toronto, University of Toronto Press, 217-237. Greenberg M, Schneider D. (2017) Urban Planning and Public Health. Washington, DC, American Public Health Association, 2017, especially chapter 8, 169-190. Greenberg M (2016). Explaining Risk Analysis: Protecting Health and the Environment. New York: Earthscan/Routledge, especially chapters 2 and 3. Greenberg M, Truelove H. (2011). Energy Choices and Perceived Risks: Is it just global warming and fear of a nuclear power plant accident? Risk Analysis, An International Journal. 31, 819-831. Greenberg M, Truelove H. (2010). Right Answers and Right-Wrong Answers: Sources of Information Influencing Knowledge of Nuclear-Related Information, Socioeconomic Planning Sciences, electronic publication, April 13, 44, 2010, 130-140. Greenberg M. (2010). Energy Parks for Former Nuclear Weapons Sites? Public Preferences at Six Regional Locations and the United States as a Whole, Energy Policy, 38, 5098-5107. M. Greenberg, Energy Parks for Former Nuclear Weapons Sites? Public Preferences at Six Regional Locations and the United States as a Whole, Energy Policy, volume 38, 5098-5107, 2010.